Guides – What is bitcoin? 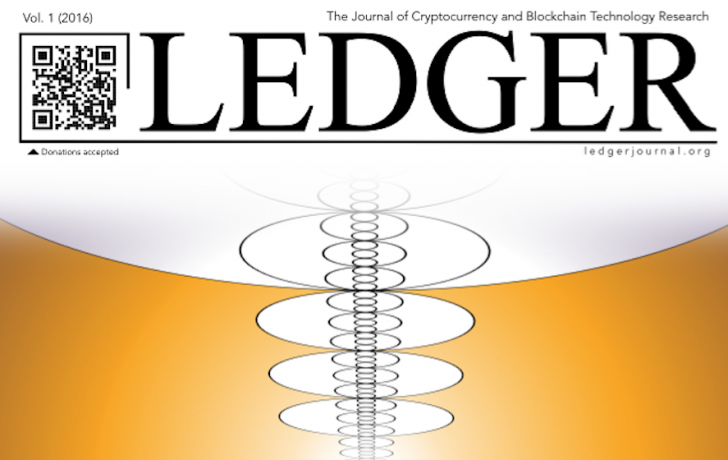 The inaugural issue of academic journal Ledger has been published. The issue includes 10 peer-reviewed papers ranging from probabilistic analysis of the NXT "forging algorithm", questions of governance in blockchain and theories of social contracts. The publication was formally launched last year to encourage greater academic involvement in the cryptocurrency industry by giving scholars a platform to publish full-length original research in all areas related to cryptocurrency. But it took longer than expected to formalize the review process, according to those involved. Now that the publication has released its first volume, the editorial staff expects to release full-publications twice a year and additionals articles throughout. "There is growing interest and activity from researchers at Princeton, Stanford, MIT, Duke, Cornell, and a long list of other universities in doing cryptocurrency research." Wilmer said the two main inspirations for the journal were to get academics involved in the cryptocurrency industry and to create a venue free from "noise" for researchers (including those who wish to remain pseudonymous) to share their work. Funded by the non-profit cryptocurrency policy group Coin Center, the journal is published by the University Library System. The publication accepts submissions in four categories, including research articles that must be no longer than 4,000 words and reviews aggregating relevant research that can be no longer than 6,000 words. Prior to the publication of an article, journal staff embed a hash of the final manuscript within the bitcoin blockchain, and encourages authors to sign this hash with their own public key. Those backing the effort say the journal isn't just aimed at a more diverse audience, but is dedicated in part to sourcing material from researchers outside of academia. In addition to contributions from more traditional research facilities such as Dublin City University and the Institute of Mathematics at the University of Campesina in Brazil, articles from the Monera Research Lab and a paper about video game payment channels by a medical doctor were also included. Ledger editor and Zcash advisor Andrew Miller said the process to apply is open to any member of the public with new research to commit, regardless of their particular field of study. "Hopefully this helps start discussions in the community too. We're trying to bring the benefits of the peer review process to a broader audience and set of participants," he told CoinDesk. In order to help ensure the white papers include actual academic research and don't merely serve to promote a company’s business model, the publication has gathered a group of industry insiders to serve as both board members and editors. The international editorial board includes Professor Christopher Douglas of Oxford University, Professor Elaine Shi of Cornell University, Dr. Michael Kumhof of the Bank of England, and ethereum creator Vitalik Buterin, among others. Co-managing editors are Wilmer and bitcoin researcher Peter Rizun. Editors include Miller and Dr Primavera De Filippi of the Harvard Law School. "The most important thing to me is that Ledger is a multidisciplinary journal, which will bring together scholarly thinking from various fields — from cryptography to computer science to law." What makes a blockchain a blockchain? Ledger, the maker of the Nano USB hardware wallet, has announced a new high-end product aimed at enterprise users and savvy consumers. MIT Media Lab's first director of digital currency is transitioning out of his role to focus on academic work and a new book. A new study by MIT researchers has provided details on a free bitcoin giveaway conducted at the US university in 2014. 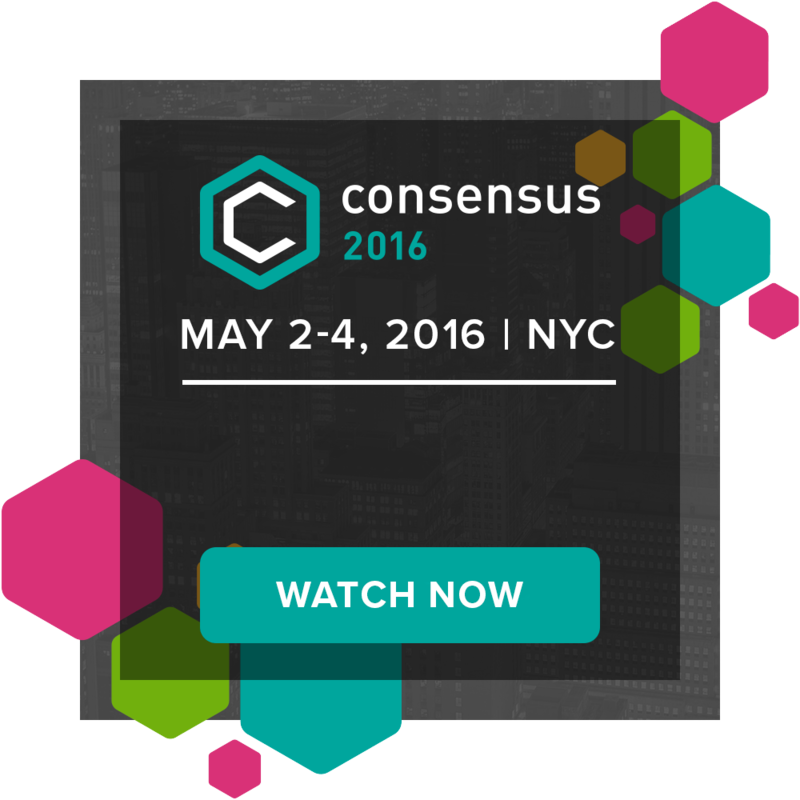 Like CoinDesk? Send us a tip! Contributions go towards 2017 investments in new bitcoin projects -- like testing how bitcoin micro-payments can replace paywalls and obtrusive ads. Got a news tip or guest feature?